I sometimes write affiliate posts, and this is one of those. It doesn't cost you anything extra! Read what this means and why I do it here. Products available and accurate at time of writing. Always check it is what you expected before buying. Mermaid sequins are what these beauties are made of. You stroke one way and one colour shows. You stroke another way and a different colour shows. Well, some bright spark (Edinburgh based) has hit on the idea of printing one of these sides with famous faces! A cracking gift idea for the friend who enjoys a joke (or has a thing for one of the following fellas). This should tickle anyone's funny bones, especially if they enjoy the famous Scottish sense of humour! Nicolas Cage has one of those faces you'd like to either stroke or hide away. In either case, find some satisfaction in this novelty Nicolas Cage face cushion. Just a wipe of the hand one way or another hides or reveals the picture beneath. 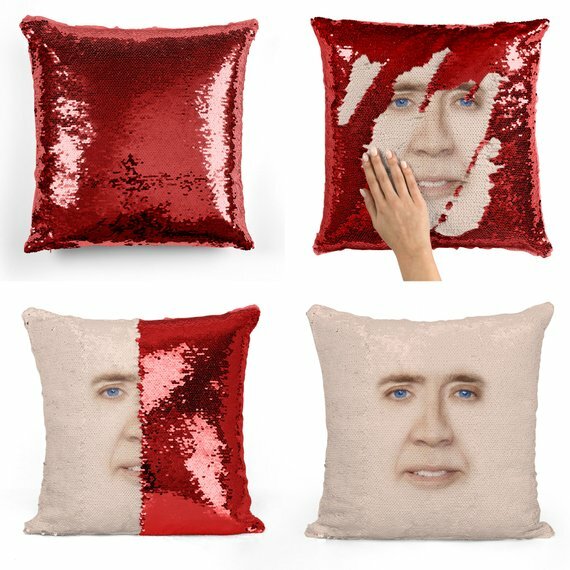 Buy the Nic Cage Face Cushion now on Etsy. Jeff's torso is so famous, it recently got a statue replicating this scene down by the Thames in London. I mean, what more is their to say? 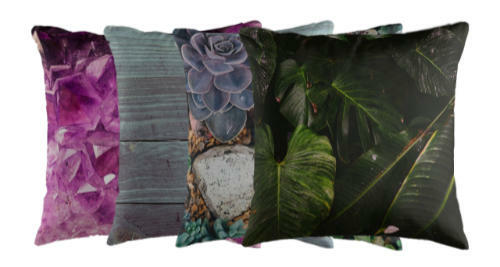 Buy the Jeff Goldblum Sequin Cushion now on Etsy. Nick Offerman playing one of the greatest husky libertarians on the planet, Parks and Recreation's Ron Swanson, playing one of the most famous faces in the world, the Mona Lisa. He'd be right at home in the Scottish Highlands, although probably not in that dress. I'm not sure which is more enigmatic, the gaze or the moustache. 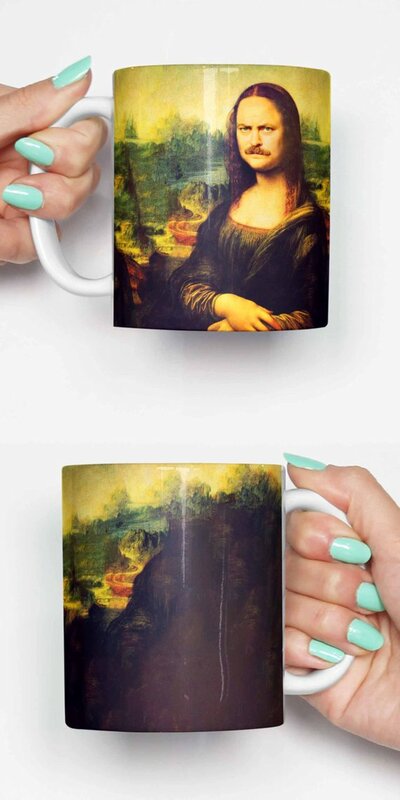 Buy the Ron Swanson Mona Lisa mug now on Etsy. Visit Memeskins on Etsy for more of the same!